Did you know that going on right now in Raleigh is an exhibit called Kit Homes in Raleigh? There was a popular method for ordering your dream home in which you ordered your home and it would show up in pieces…with an instruction manual. They reached their height of popularity of the 1920’s and can still be found today in small rural towns and large cities. In the current exhibit you can view where in Raleigh the kit homes are located, as well as pictures of the city’s best examples. This exhibit is currently located at the City of Raleigh Museum which has been around since 1993. The museum was a place to host the city of Raleigh‘s artifacts and preserve the past. For more information, please call (919) 996-2220. 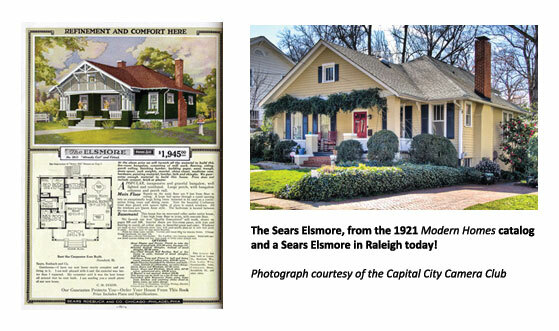 Posted on October 1, 2013 by marykim1 •	This entry was posted in Lifestyles of Raleigh and tagged Cary NC Real Estate, City of Raleigh, COR Museum, Did You Know, Helpful Tips, Location, Museum, Museum Exhibit, Raleigh, Raleigh NC, Real Estate, Rural. Bookmark the permalink.